Whey protein is most commonly used by athletes for rebuilding muscle post workout. It offers benefits such as a quick and easy way of extra protein to help build muscle. However, there a few disadvantages as well some products sold under whey protein are not fully whey protein but rather has artificial additives. Whey protein or simply known as protein powder is all the rage with athletes and people who are trying to build muscle. With the marketing tactics today, many people now rely on this powder to gain muscle and in training. What is whey and why is it suddenly so popular? Whey protein is made from a mixture of globular proteins (which are basically circular proteins) from whey. Whey is basically the water that is left when milk is coagulated to make cheese. The whey is made when the pH of milk is dropped to 4.6 that also results in the coagulating of the milk. Leftover is a 5% solution of lactose in water, with some minerals and lactalbumin. The protein is then acquired from this solution by separating the fat and then simply drying the solution. The protein content can be increased by removing lipids and other non-protein materials before the drying process. If the solution is dried by high heat (72 °C or above) it can result in denaturing whey protein, making it less healthy than the naturally dried one. There are four major forms of whey protein: concentrate (WPC), isolate (WPI), hydrolysate (WPH) and Native Whey. Concentrates have low level of fat and cholestrol have higher levels of bioactive compounds, and carbohydrates in the form of lactose — they are 29%–89% protein by weight. Isolates are processed to remove the fat and lactose, but have lower bioactive compounds as well and are 90%+ protein by weight. Hydrolysates are predigested and partially hydrolyzed to make it easier for metabolizing. It is usually more expensive and may be more suited for people that are allergic to milk and lactose. Native whey are the purest form of protein and has been extracted from skim milk and not a product of cheese production, produced as a concentrate. Whey protein offers both, advantages and disadvantages. 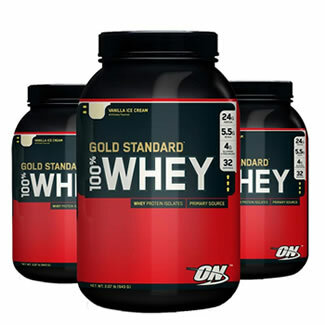 While, whey is available over the counter in supplement stores such as GNC, one should always consult an expert (such as trainers, nutritionists or doctors) before taking them.